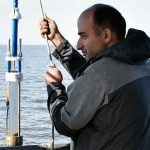 We will be working with the IAGLR editors – Drs. Bob Hecky and Stephanie Guildford – to commence the process of another Special Issue on Lake Winnipeg in the JGLR. If you are interested in submitting a paper, please email Dr. Karen Scott via the Contact form. Note that there are no page charges for special issues and the JGLR is published every two months with special issues being part of this schedule. The application deadline is December 15th, 2018. Click for more information and to download the application form. Last year’s Scholarship recipient was Masoud Goharrokhi, Ph.D student at the University of Manitoba. 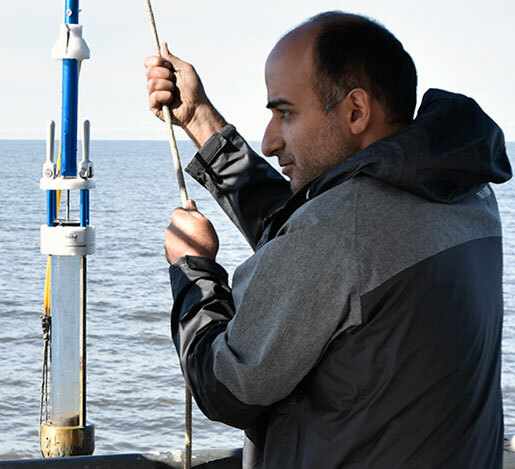 Masoud’s research involved using “sediment fingerprinting” to determine the sources and movement of suspended sediment within Lake Winnipeg – including erosion, tributary inflows, and resuspension. 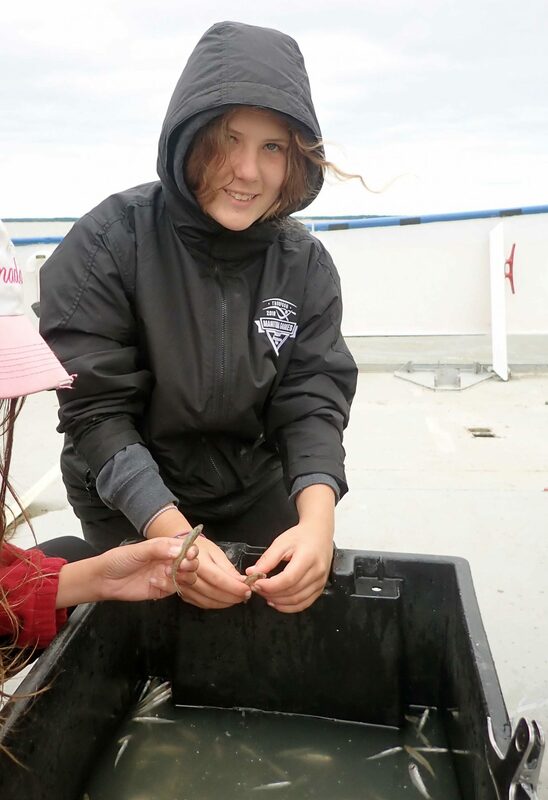 The Lake Ecology Field Program will next be offered in the spring of 2019. See the Education page for more details on how to apply. 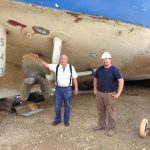 In 2018, the drydock facility at Hnausa, which is used to service the Freshwater Fish Marketing Corporation’s vessel, was modified to accommodate the considerably larger M.V. Namao. 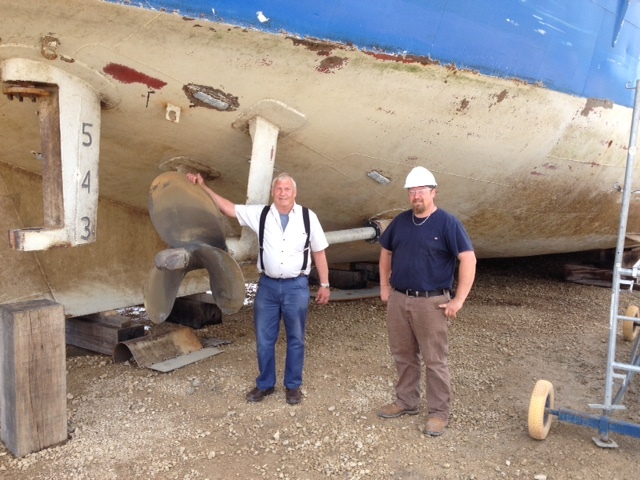 LWRC’s Superintendent of Marine Operations, Ryan Johnson, (shown here with Ken Anderson, former 2nd Engineer) oversaw the re-fit inspection and repairs. Miriam Alarie was the 2018 recipient of the LWRC’s Water Award for her project entitled “La rivière Rouge serait-elle la source de pollution du lac Winnipeg?”. Miriam is shown here on board the M.V. Namao helping to sort the forage fish catch. Congratulations Myriam for an excellent project. Dan Richmond, LWRC’s Superintendent of Marine Operations, passed away in October 2016. On August 14th, 2017, a family ceremony took place on board M.V. Namao to release Dan’s ashes into Lake Winnipeg. 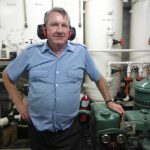 Dan’s passion for ships, and especially ship’s engines, resulted in a 35-year career with the Canadian Coast Guard, followed by a “retirement” in the engine room of the M.V. Namao as Chief Engineer, as well as Superintendent of Marine Operations, for the LWRC. Dan is greatly missed by the staff, science group and crew of the M.V. Namao.